For a limited time only, 888 Poker is hosting $1 buy-in Blast Poker games with a top prize of $1 million, and $5 buy-in Blast Poker games with a top prize of $2 million. 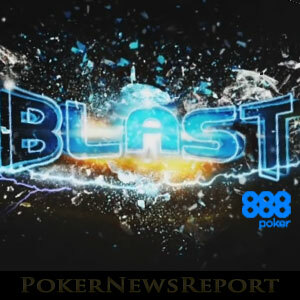 If you have never experienced the thrill of playing Blast Poker at 888 Poker, there´s never been a better time to try them out. Blast Poker is a short-handed, hyper-turbo poker game which starts when four players have registered. At the start of each game, a random prize pool multiplier is drawn which is normally between 2x and 10,000x the buy-in. The prize pool multiplier not only determines the value of the prize pool, but how long each game lasts, and how many players get a share of the prize money. In most cases, a prize pool multiplier of 2x or 5x the buy-in will be drawn. When this happens, the game last for only six minutes (three levels of two minutes each) before every player is all-in every hand until a winner is determined. 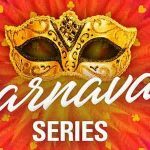 When higher prize pool multipliers are drawn the game can continue for up to twelve minutes (six levels) before remaining players are all-in every hand. 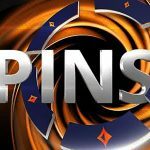 The concept is excellent inasmuch as you know how long every game is going to last, chip leaders have an incentive not to stall before time runs out, and you could win a share of a very large prize pool if the top prize pool multiplier is drawn. For a limited time only, you could win a share of an even bigger prize pool in 888 Poker´s current Blast Poker promotion. 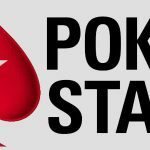 Blast Poker is, by its nature, a very exciting game; but, when the opportunity exists to share in a million dollar prize pool for a buy-in of $1, the excitement reaches a new level. Furthermore, because all four players share in the prize pool when the multiplier is 1,000x the buy-in or higher, you could still win $100,000 if you get knocked out of the game in the first hand! If you feel a little disappointed that the maximum you can win is “just” $600,000 when the top prize pool multiplier is drawn, you should try your hand at Blast Poker games with a buy-in of $5. During the promotion, 888 Poker is increasing the top prize pool multiplier for $5 buy-in games from 10,000x to 200,000x, so when the maximum multiplier is drawn, the first placed player will receive $1.2 million. Other Blast Games with the regular range of prize pool multipliers are available at 888 Poker with buy-ins of 10 cents, $15, $30, and $100. If you want to see how the games work before investing any of your own cash, you can observe games underway from the Blast Poker lobby. This can be a good idea to see how strategies change when players are competing for a higher value prize pool with more places paid. It’s kind of like winning the lottery. I have never played one but winning $2,000,000 sounds like fun so I will give them a try! I love the promotion. I’ve been a huge fan of the format for a long time and think they’re great for the recreational players. Everyone likes playing for a huge prize pool and the smaller the buy-in, the better. 888 Poker is not only home to some of the world´s best online poker players, but tens of thousands of recreational players who contribute to the excellent community spirit at the site. Therefore, if you fancy having a crack at winning a life-changing amount for a minimal buy-in, head over to 888 Poker – but hurry, the likelihood is that this promotion will not stick around for long.